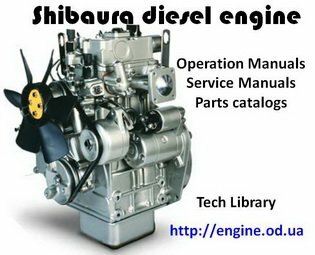 5801011 D23F Shibaura D23F Tractor Operation manual. Workshop manual. Parts list. 5801012 D28F Shibaura D28F Tractor Operation manual. Workshop manual. Parts list. 5801013 D43F Shibaura D43F Tractor Operation manual. Workshop manual. Parts list. 5801014 P15 F Shibaura P15 F Tractor Operation manual. Workshop manual. Parts list. 5801015 P17F Shibaura P17F Tractor Operation manual. Workshop manual. Parts list. 5801016 P19F Shibaura P19F Tractor Operation manual. Workshop manual. Parts list. 5801017 P21 F Shibaura P21 F Tractor Operation manual. Workshop manual. Parts list. 5801018 P185 F Shibaura S325M Tractor Operation manual. Workshop manual. Parts list. 5801019 S325 Shibaura S325 Tractor Operation manual. Workshop manual. Parts list. 5801020 S325M Shibaura S325M Tractor Operation manual. Workshop manual. Parts list. 5801021 S330 Shibaura S330 Tractor Operation manual. Workshop manual. Parts list. 5801022 S435 Shibaura S435 Tractor Operation manual. Workshop manual. Parts list. 5801023 S445 Shibaura S445 Tractor Operation manual. Workshop manual. Parts list. 5801024 S700 Shibaura S700 Tractor Operation manual. Workshop manual. Parts list. 5801025 S700D Shibaura S700D Tractor Operation manual. Workshop manual. Parts list. 5801026 SD1500 Shibaura SD1500 Tractor Operation manual. Workshop manual. Parts list. 5801027 SD1643 Shibaura SD1643 Tractor Operation manual. Workshop manual. Parts list. 5801028 SD1800 Shibaura SD1800 Tractor Operation manual. Workshop manual. Parts list. 5801029 SD1803 Shibaura SD1803 Tractor Operation manual. Workshop manual. Parts list. 5801030 SD1840 Shibaura SD1840 Tractor Operation manual. Workshop manual. Parts list. 5801031 SD1843 Shibaura SD1843 Tractor Operation manual. Workshop manual. Parts list. 5801032 SD2000 Shibaura SD2000 Tractor Operation manual. Workshop manual. Parts list. 5801033 SD2003 Shibaura SD2003 Tractor Operation manual. Workshop manual. Parts list. 5801034 SD2043 Shibaura SD2043 Tractor Operation manual. Workshop manual. Parts list. 5801035 SD2200 Shibaura SD2200 Tractor Operation manual. Workshop manual. Parts list. 5801036 SD2203 Shibaura SD2203 Tractor Operation manual. Workshop manual. Parts list. 5801037 SD2240 Shibaura SD2240 Tractor Operation manual. Workshop manual. Parts list. 5801038 SD2243 Shibaura SD2243 Tractor Operation manual. Workshop manual. Parts list. 5801039 SD2403 Shibaura SD2403 Tractor Operation manual. Workshop manual. Parts list. 5801040 SD2600 Shibaura SD2600 Tractor Operation manual. Workshop manual. Parts list. 5801041 SD2603 Shibaura SD2603 Tractor Operation manual. Workshop manual. Parts list. 5801042 SD2604 Shibaura SD2604 Tractor Operation manual. Workshop manual. Parts list. 5801043 SD2640 Shibaura SD2640 Tractor Operation manual. Workshop manual. Parts list. 5801044 SD2643 Shibaura SD2643 Tractor Operation manual. Workshop manual. Parts list. 5801045 SD2843 Shibaura SD2843 Tractor Operation manual. Workshop manual. Parts list. 5801046 SD 3000 Shibaura SD 3000 Tractor Operation manual. Workshop manual. Parts list. 5801047 SD3203 Shibaura SD3203 Tractor Operation manual. Workshop manual. Parts list. 5801048 SD3243 Shibaura SD3243 Tractor Operation manual. Workshop manual. Parts list. 5801049 SD3903 Shibaura SD3903 Tractor Operation manual. Workshop manual. Parts list. 5801050 SD3943 Shibaura SD3943 Tractor Operation manual. Workshop manual. Parts list. 5801051 SD4000 Shibaura SD4000 Tractor Operation manual. Workshop manual. Parts list. 5801052 SD4003 Shibaura SD4003 Tractor Operation manual. Workshop manual. Parts list. 5801053 SD4043 Shibaura SD4043 Tractor Operation manual. Workshop manual. Parts list. 5801054 SD4340 Shibaura SD4340 Tractor Operation manual. Workshop manual. Parts list. 5801055 SD4603 Shibaura SD4603 Tractor Operation manual. Workshop manual. Parts list. 5801056 SD4643 Shibaura SD4643 Tractor Operation manual. Workshop manual. Parts list. 5801057 SD5040T Shibaura SD5040T Tractor Operation manual. Workshop manual. Parts list. 5801058 SE1300 Shibaura SE1300 Tractor Operation manual. Workshop manual. Parts list. 5801059 SE1340 Shibaura SE1340 Tractor Operation manual. Workshop manual. Parts list. 5801060 SE1600 Shibaura SE1600 Tractor Operation manual. Workshop manual. Parts list. 5801061 SE2540 Shibaura SE2540 Tractor Operation manual. Workshop manual. Parts list. 5801062 SE3000 Shibaura SE3000 Tractor Operation manual. Workshop manual. Parts list. 5801063 SE3040 Shibaura SE3040 Tractor Operation manual. Workshop manual. Parts list. 5801064 SE4000 Shibaura SE4000 Tractor Operation manual. Workshop manual. Parts list. 5801065 SE4040 Shibaura SE4040 Tractor Operation manual. Workshop manual. Parts list. 5801066 SE5300 Shibaura SE5306 Tractor Operation manual. Workshop manual. Parts list. 5801067 SE5306 Shibaura SE5340 Tractor Operation manual. Workshop manual. Parts list. 5801068 SE5340 Shibaura SE5346 Tractor Operation manual. Workshop manual. Parts list. 5801069 SE5346 Shibaura SE5346 Tractor Operation manual. Workshop manual. Parts list. 5801070 SE6300 Shibaura SE6300 Tractor Operation manual. Workshop manual. Parts list. 5801071 SE6340 Shibaura SE6340 Tractor Operation manual. Workshop manual. Parts list. 5801072 SE7300 Shibaura SE7300 Tractor Operation manual. Workshop manual. Parts list. 5801073 SE7300T Shibaura SE7300T Tractor Operation manual. Workshop manual. Parts list. 5801074 SE7340 Shibaura SE7340 Tractor Operation manual. Workshop manual. Parts list. 5801075 SE7340T Shibaura SE7340T Tractor Operation manual. Workshop manual. Parts list. 5801076 SE7900 Shibaura SE7900 Tractor Operation manual. Workshop manual. Parts list. 5801077 SE7940 Shibaura SE7940 Tractor Operation manual. Workshop manual. Parts list. 5801078 SE8300 Shibaura SE8300 Tractor Operation manual. Workshop manual. Parts list. 5801079 SE8305 Shibaura SE8305 Tractor Operation manual. Workshop manual. Parts list. 5801080 SE8340 Shibaura SE8340 Tractor Operation manual. Workshop manual. Parts list. 5801081 SF1000T Shibaura SF1000T Tractor Operation manual. Workshop manual. Parts list. 5801082 SF1040T Shibaura SF1040T Tractor Operation manual. Workshop manual. Parts list. 5801083 SL1603 Shibaura SL1603 Tractor Operation manual. Workshop manual. Parts list. 5801084 SL1643 Shibaura SL1643 Tractor Operation manual. Workshop manual. Parts list. 5801085 SP1500 Shibaura SP1500 Tractor Operation manual. Workshop manual. Parts list. 5801086 SP1540 Shibaura SP1540 Tractor Operation manual. Workshop manual. Parts list. 5801087 SP1740 Shibaura SP1740 Tractor Operation manual. Workshop manual. Parts list. 5801088 SP1840 Shibaura SP1840 Tractor Operation manual. Workshop manual. Parts list. 5801089 SP2140 Shibaura SP2140 Tractor Operation manual. Workshop manual. Parts list. 5801090 ST318 Shibaura ST318 Tractor Operation manual. Workshop manual. Parts list. 5801091 ST321 Shibaura ST321 Tractor Operation manual. Workshop manual. Parts list. 5801092 ST324 Shibaura ST324 Tractor Operation manual. Workshop manual. Parts list. 5801093 ST329 Shibaura ST329 Tractor Operation manual. Workshop manual. Parts list. 5801094 ST333 Shibaura ST333 Tractor Operation manual. Workshop manual. Parts list. 5801095 ST440 Shibaura ST440 Tractor Operation manual. Workshop manual. Parts list. 5801096 ST445 Shibaura ST445 Tractor Operation manual. Workshop manual. Parts list. 5801097 SU1100 Shibaura SU1100 Tractor Operation manual. Workshop manual. Parts list. 5801098 SU1140 Shibaura SU1140 Tractor Operation manual. Workshop manual. Parts list. 5801099 SU1301 Shibaura SU1301 Tractor Operation manual. Workshop manual. Parts list. 5801100 SU1341 Shibaura SU1341 Tractor Operation manual. Workshop manual. Parts list. 5801101 SU1500 Shibaura SU1500 Tractor Operation manual. Workshop manual. Parts list. 5801102 SX21 Shibaura SX21 Tractor Operation manual. Workshop manual. Parts list. 5801103 SX24 Shibaura SX24 Tractor Operation manual. Workshop manual. Parts list. 5801501 GT14 Shibaura GT14 Garden tractor Operation manual. Workshop manual. Parts list. 5801502 GT16 Shibaura GT16 Garden tractor Operation manual. Workshop manual. Parts list. 5801503 GT141 Shibaura GT141 Garden tractor Operation manual. Workshop manual. Parts list. 5801504 GT161 Shibaura GT161 Garden tractor Operation manual. Workshop manual. Parts list. 5802010 CM214 Shibaura CM214 Commercial mower Operation manual. Workshop manual. Parts list. 5802011 CM224 Shibaura CM224 Commercial mower Operation manual. Workshop manual. Parts list. 5802012 CM274 Shibaura CM274 Commercial mower Operation manual. Workshop manual. Parts list. 5802013 CM284 Shibaura CM284 Commercial mower Operation manual. Workshop manual. Parts list. 5802014 CM304 Shibaura CM304 Commercial mower Operation manual. Workshop manual. Parts list. 5802015 CM314 Shibaura CM314 Commercial mower Operation manual. Workshop manual. Parts list. 5802016 CM354 Shibaura CM354 Commercial mower Operation manual. Workshop manual. Parts list. 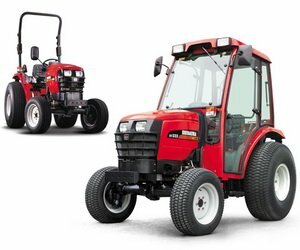 5802017 CM364 Shibaura CM364 Commercial mower Operation manual. Workshop manual. Parts list. 5802018 CM374 Shibaura CM374 Commercial mower Operation manual. Workshop manual. Parts list. 5802101 SG280E Shibaura SG280E Slope mower Operation manual. Workshop manual. Parts list. 5802102 SH1550 Shibaura SH1550 Slope mower Operation manual. Workshop manual. Parts list. 5802103 R63AW Shibaura R63AW Slope mower Operation manual. Workshop manual. Parts list. 5802201 SR525 Shibaura SR525 Reel mower Operation manual. Workshop manual. Parts list. 5802202 SR525HP Shibaura SR525HP Reel mower Operation manual. Workshop manual. Parts list. 5802203 SR370 Shibaura SR370 Reel mower Operation manual. Workshop manual. Parts list. 5802204 AM201 Shibaura AM201 Reel mower Operation manual. Workshop manual. Parts list. 5802301 MG80G Shibaura MG80G Greens mower Operation manual. Workshop manual. Parts list. 5802302 MG80D Shibaura MG80D Greens mower Operation manual. Workshop manual. Parts list. 5802401 G-EXE22 Shibaura G-EXE22 Green mower Operation manual. Workshop manual. Parts list. 5802402 G-Flow22 Shibaura G-Flow22 Green mower Operation manual. Workshop manual. Parts list. 5802403 GM222 Shibaura GM222 Green mower Operation manual. Workshop manual. Parts list. 5802404 GM262 Shibaura GM262 Green mower Operation manual. Workshop manual. Parts list. 5802405 TS262 Shibaura TS262 Green mower Operation manual. Workshop manual. Parts list. 5802501 C142 Shibaura C142 Zero-Turn mower Operation manual. Workshop manual. Parts list. 5802502 R748 Shibaura R748 Zero-Turn mower Operation manual. Workshop manual. Parts list. 5802601 MM60DSG Shibaura MM60DSG Mower deck Operation manual. Workshop manual. Parts list. 5802602 MM62DSGRD Shibaura MM62DSGRD Mower deck Operation manual. Workshop manual. Parts list. 5802603 SCM48S Shibaura SCM48S Mower deck Operation manual. Workshop manual. Parts list. 5802604 SCM60R Shibaura SCM60R Mower deck Operation manual. Workshop manual. Parts list. 5802605 SCM60S Shibaura SCM60S Mower deck Operation manual. Workshop manual. Parts list. 5802606 SXM54 Shibaura SXM54 Mower deck Operation manual. Workshop manual. Parts list. 5802607 SXM60 Shibaura SXM60 Mower deck Operation manual. Workshop manual. Parts list. 5802608 STM60-318-324 ShibauraSTM60-318-324Mower deck Operation manual. Workshop manual. Parts list. 5802609 STM60-329-333 ShibauraSTM60-329-333Mower deck Operation manual. Workshop manual. Parts list. 5802610 84"Flex Deck Shibaura 84"Flex Deck Mower deck Operation manual. Workshop manual. Parts list. 5802701 MTS400 Shibaura MTS400 Top dresser Operation manual. Workshop manual. Parts list. 5802702 MWX400S Shibaura MWX400S Top dresser Operation manual. Workshop manual. Parts list. 5802801 SS1700 Shibaura SS1700 Sweeper Operation manual. Workshop manual. Parts list. 5802802 W26D Shibaura W26D Sweeper Operation manual. Workshop manual. Parts list. 5803001 SF656MZ Shibaura SF656MZ FF pump Operation manual. Workshop manual. Parts list. 5803002 SF756MZ Shibaura SF756MZ FF pump Operation manual. Workshop manual. Parts list. 5803003 SDG650 Shibaura SDG650 FF pump Operation manual. Workshop manual. Parts list. 5803004 SDG1000 Shibaura SDG1000 FF pump Operation manual. Workshop manual. Parts list. 5803005 SDG1500 Shibaura SDG1500 FF pump Operation manual. Workshop manual. Parts list. 5803006 SDG2000 Shibaura SDG2000 FF pump Operation manual. Workshop manual. Parts list. 5803007 SDG2500 Shibaura SDG2500 FF pump Operation manual. Workshop manual. Parts list. 5803008 SDG3000 Shibaura SDG3000 FF pump Operation manual. Workshop manual. Parts list. 5803009 SDG4000 Shibaura SDG4000 FF pump Operation manual. Workshop manual. Parts list. 5803010 SDG5000 Shibaura SDG5000 FF pump Operation manual. Workshop manual. Parts list. 5803011 SDG6000 Shibaura SDG6000 FF pump Operation manual. Workshop manual. Parts list. 5803012 SDG7000 Shibaura SDG7000 FF pump Operation manual. Workshop manual. Parts list. 5803013 TF516MH Shibaura TF516MH FF pump Operation manual. Workshop manual. Parts list. 5803014 TF520MH Shibaura TF520MH FF pump Operation manual. Workshop manual. Parts list. 5803015 TF640MH Shibaura TF640MH FF pump Operation manual. Workshop manual. Parts list. 5803016 TF745MH Shibaura TF745MH FF pump Operation manual. Workshop manual. Parts list. 5804001 FM930 Shibaura FM930 Hover Mower Operation manual. Workshop manual. Parts list. 5804002 SGR100 Shibaura SGR100 Greens roller Operation manual. Workshop manual. Parts list. 5804003 TR7 Shibaura TR7 Bunker Rake Operation manual. Workshop manual. Parts list. 5804004 TSA500 Shibaura TSA500 Ride-on Sprayer Operation manual. Workshop manual. Parts list.